Wrings a surprising amount of black comedy and satiric horror at the expense of the pretentious elite. 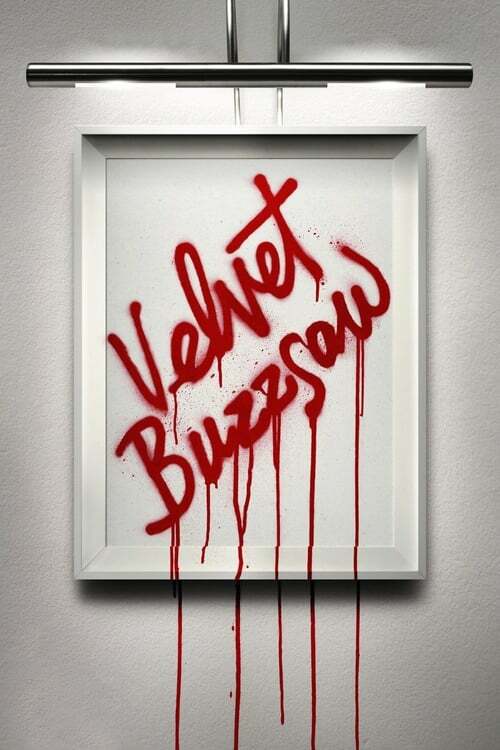 Written and directed by Dan Gilroy (Nightcrawler, Roman J. Israel, Esq), Velvet Buzzsaw starts at an art exhibition in Miami and introduces us to a wide range of characters as they socialise and critique the art on display. Among them are Morf Vandewalt (Jake Gyllenhall), a reputable, gay art critic with tremendous influence. His friend Josephina (Zawe Ashton) – who has just discovered her boyfriend is cheating on her – is an agent working for a ruthless art gallery owner, Rhodora Haze (Rene Russo), while Gretchen (Toni Collette) is an ambitious art curator assistant with a bright future ahead of her. But we’re not done meeting people just yet! After the exhibit where the authority of Morf and Rhodora are quickly established, we’re introduced to other characters who we’ll be seeing more of as events progress, including Piers (John Malkovich), a has-been abstract artist, Jon Dondon (Tom Sturridge), also an art gallery owner with a desire to represent Piers, and finally Damrish (Daveed Diggs), an upcoming budding artist who soon becomes one of Rhodora’s new clients. After this induction to the combined ego of this pretentious art scene ensemble, everyone returns to Los Angeles where Josephine discovers the body of a dead man – Vetril Dease – in her residential building. She soon finds a vast amount of art in his apartment and quickly realizes the true potential of not just the raw talent of the pieces, but how they might further her own stalled career. She consults with Morf, who quickly becomes enthralled by the dark nature of Dease’s work, and after being coerced by Rhodora, teams up with Rhodora to arrange a public display and profit from it. However, as the late artist left specific instructions to destroy all of his work following his death, it’s not long after its commercialization that things start to turn sour. One by one, those hoping to benefit from the purloined art begin to die in all sorts of creative ways (no pun intended). Set against the backdrop of art business rivalry and the superficiality of those inhabiting it, Velvet Buzzsaw manages to become both a satire and horror show, though never in equal amounts. While there is nothing I would call a stand-out performance in this film, the acting is very strong. This is a seasoned cast working with a script that has clever, quirky and nasty dialogue showcasing characters in volatile relationships. Jake Gyllenhaal is hilarious with his confident and snobbish portrayal of Morf. One minute he’s in charge of the scene with his artistic passion in full force, his body language and masterful grasp of the spoken word cutting through anybody who happens to cross his path. The next minute he’s in panic mode, fearful and at the mercy of his emotions as he loses control of his personal relationship with Josephina and his grasp of reality. Rene Russo is intimidating as the ex-member of rock band Velvet Buzzsaw, a ruthless and driven art gallery owner in her own right. Motivated by money and not one to care about the feelings of others she steamrolls over anybody in her way to making a dollar and having a successful business. You feel the strength of life experience in her character and know she didn’t get to where she is by playing nice. While all the characters are what I’d generally call “bad people”, Zawe Ashton does a wonderful job of playing Josephina, the one person you might initially root for. She had a bad break up, and is now trying to succeed in her career with a nasty piece of work for a boss. I won’t spoil it, but she soon develops into something entirely different, a trajectory where ambition and money fuel pretentiousness and you can’t wait for the fate that is coming her way. It’s probably a little cliche they cast a British actress for this role, but it works and I enjoyed hating her character as the story progressed. The eccentric nature of artists and the subjective nature of art interpretation is really explored and done in a way that that had me laughing throughout the whole film. The dialogue, coupled with complimentary camera movement and timing, really adds a punch to key moments of the story. Oddly, the only parts that let me down were the actual deaths. There’s a healthy death count in this film and what I would normally expect to see in a horror or murderous thriller is the escalation of violence or in how characters meet their doom. The most brutal scene occurs about halfway through, and while many of the subsequent deaths are creative, these simply pale in comparison to what came before, almost as if the filmmakers played their aces a little too early. Despite the diminishing returns which made some of the deaths a bit of a let down, I still thoroughly enjoyed Velvet Buzzsaw. While its focus on art snobbery or black humor might not be for everyone, the film wrings a surprising amount of comedy and satire at the expense of the pretentious elite. A solid ensemble delivers great performances laced flowing with witty dialogue and caustic relationships fraught with peril, between each other and for those unlucky enough to enter their eccentric and dangerously silly world. I wish there had been more focus on the horror elements, but it’s not everyday we see creative kills set – literally – in the belly of the creative.